"Surveys show declining student support for First Amendment protection for controversial speech and speakers whose ideas students find offensive or hateful, leading students to such measures as calling to disinvite provocative speakers, and asking professors to exclude such material from courses. 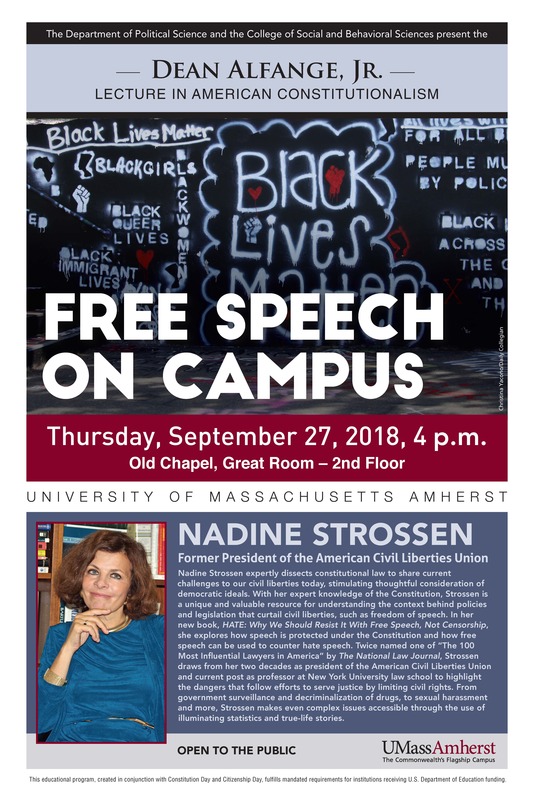 While a staunch champion of the objective--to provide equal educational opportunities for all students--Strossen lays out the case that limiting even the most offensive, hateful, provocative speech will do more harm than good for the essential causes of equality and social justice. Accordingly, she recommends other measures that will effectively advance those goals, which are also consistent with free speech values." NADINE STROSSEN,​ former President of the American Civil Liberties Union expertly dissects constitutional law to share current challenges to our civil liberties today, stimulating thoughtful consideration of democratic ideals. With her expert knowledge of the Constitution, Strossen is a unique and valuable resource for understanding the context behind policies and legislation that curtail civil liberties, such as freedom of speech. In her new book, HATE: Why We Should Resist It With Free Speech, Not Censorship, she explores how speech is protected under the Constitution and how free speech can be used to counter hate speech. Twice named one of “The 100 Most Influential Lawyers in America” by The National Law Journal, Strossen draws from her two decades as president of the American Civil Liberties Union and current post as professor at New York University law school to highlight the dangers that follow efforts to serve justice by limiting civil rights. From government surveillance and decriminalization of drugs, to sexual harassment and more, Strossen makes even complex issues accessible through the use of illuminating statistics and true-life stories.